Written for the individual investor, this guide explores the planning and savings options available to families that are saving for a child's college education. Whether you are a new parent looking to get a head start on saving for your child's education or a grandparent wishing to help your grandkids afford their dream college, this is the PERFECT starting place to learn how to create the best savings strategy for you. Putting your college savings plan together. 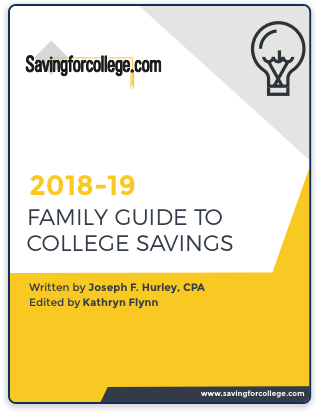 Also included in the Family Guide is a comprehensive chart that compares the different aspects of 529 plans with other college savings alternatives. This makes a great quick-reference tool to research the different options side-by-side.